Having survived a hurricane, an unprepared organization may face weeks of downtime. Similarly, cybercrime such as ransomware can cause a week or more of downtime, as occurred at LabCorp in July. You can mitigate downtime from cyber threats with Disaster Recovery-as-a-Service (DRaaS). The same DRaaS solution that limits unplanned downtime and data loss from other causes can prevent and mitigate damage from cyber threats such as ransomware. In addition to enabling a rapid recovery with minimal data loss, DRaaS can improve the speed and safety of patching an organization’s systems to remediate many vulnerabilities. Analysts say that in the next five years patching will be the most impactful enterprise security improvement. Major security breaches can be directly attributed to a failure to patch systems. As business ecosystems become more complex, patching one system can impair another system. Many organizations lack a patching platform on which to test patches and upgrades without risk to production and dev-test environments, resulting in delays. The Equifax breach occurred after the patch that would have prevented it had been available for two months. A test bubble enabled by a DRaaS solution can help an organization test and deploy patches faster. A test bubble provides a patching platform on which to recover a set of systems, apply patches and perform upgrades, and validate compatibility. Aggressive patch automation becomes safe, because the test bubble limits the opportunity for a damaging patch to impact the day-to-day environment. If a patch causes a problem, just break down the test environment and spin up another instance of same suite of machines through the DRaaS solution. A test bubble helps prevent an organization from putting patching on the backburner, which is easy to do and not a wise move. It’s a clear advantage to have a DRaaS solution that provides this kind of flexibility. 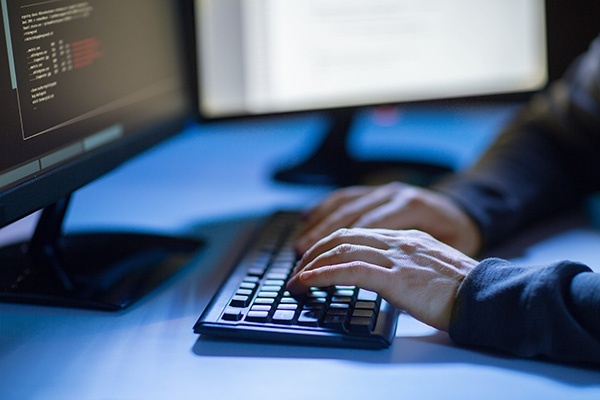 If a malware infection such as ransomware encryption occurs despite faster patching processes, a DRaaS solution can provide your organization with a substantial advantage to mitigate and recover – without paying a ransom to a criminal organization to get your files back. Let’s look at a possible timeline below to reveal the innate differences in data loss and recovery time between DRaaS and a traditional disaster recovery solution that relies on backups or archives of backups via tape or tape vault. As a disaster recovery services provider, we see situations where disaster recovery becomes a checkbox for compliance and audits. The reality is that having tested plans in place makes DR much more valuable. Today’s cybercrime environment requires the more granular and rapid recovery than the daily backups of the past. Take the next step before a cyber threat causes an unplanned outage at your organization. Review and strengthen your organization’s disaster readiness plan with a disaster recovery strategy session.